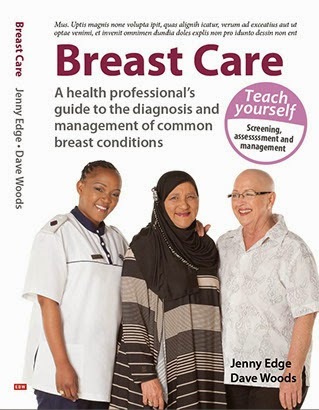 On the second day of the course, we generally start with lectures about breast cancer management in general then concentrate on the specific facilities available locally. Dr Innocent Mhango (an intern at Kamuzu Hospital) expressed interest in being more involved with teaching the course. He gave the lecture on the complications of breast cancer treatment. Although he is still an intern and hasn't done an oncology rotation, he spent time reading up on breast cancer treatment and gave an excellent summary of the problems: thank you Innocent. Dr Satish Gopal, director of UNC oncology programme in Malawi for the last 3 years, gave a talk about cancer treatment in Malawi. Malawi is one of the poorest countries in the world with an average GDP around $300 per annum and has no radiotherapy facilities. rather than dwelling on inadequacies, Satish stressed the importance of looking at the services available. For example, as a result of collaboration between UNC and the ministry of health, Malawi has a good pathology service with the capacity to do some immunohistochemistry (hormone receptors). Many countries in the Southern African region do not have an efficient or reliable pathology service. Cancer cannot be treated if it cannot be diagnosed. The palliative care session was run by Dr Agnes Moses who is head of the palliative care service in Lilongwe. Only 11/53 countries in Africa have access to morphine. Dr Moses: many thanks for making time in your day to give the lecture and chair the discussion groups. survivors: Blandina Khondowe. Since the diagnosis and treatment of her breast cancer (I have told her story in previous blogs), she has become an avid campaigner for the rights of women with breast cancer. She has launched a 2 pronged campaign. She is campaigning for better diagnostic facilities to be available to all women and for comprehensive cancer management to be available in Malawi. She was in a privileged position and had the resources to travel to India for her treatment and believes that all women with breast cancer should receive the same level of care. I would like to thank the UNC and the ministry of health in Malawi for inviting us to be part of their oncology project and once again thank Dr Lily Gutnik and our sponsors for ensuring the course's success.